News anchor, Erwin Tulfo tirelessly pursues the corrupted endeavors of the past administration of former President Benigno Aquino III. Aquino’s 2014 housing project for soldiers and police in Sulu is believed to be a total failure, unlivable due to the lack of rooms, restrooms, electricity and water lines. Now the question that pushes Tulfo to get to the bottom of this is "where have the funds for this project gone to? ". 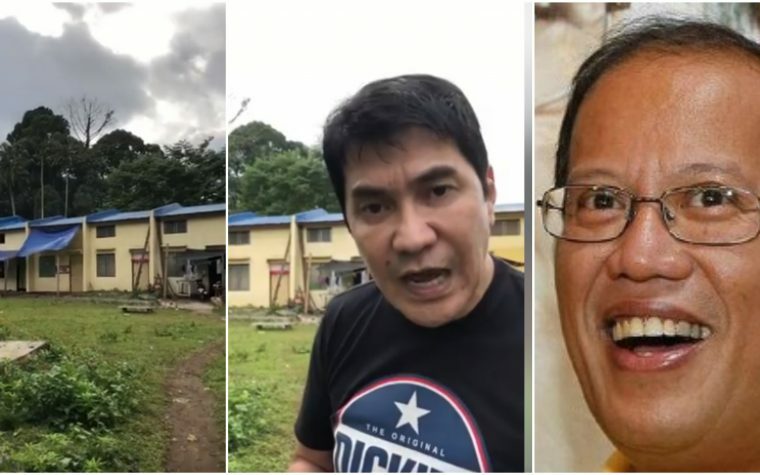 Tulfo exposed an alleged anomaly in Jolo, Sulu where the proposed 500 funded houses did not meet his expectations as he checked the location where only 200 “houses” stood. He stated that it would’ve been better to live in a pigpen than the so called “houses” which is such a distasteful act to the soldier and police who are heroically fighting and defending all of Sulu. What has the Aquino administration done with the funding?